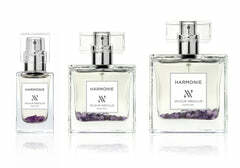 A must-have mist for a harmonious home! Indulge in your sensuality with ADORAtherapy® Passion Room Boost™. Formulated with organic essential oils to give your space a unique personality, this rare blend of exotic plant oils includes Patchouli, Sandalwood, and Jasmine to awaken your insatiable desire for love and passion. A perfect mist for your home, office, travel, and yoga mat. Vegan. Distilled Water, Organic Essential Oils of Patchouli, Juniper, Ginger, Clove, Clary Sage, Ylang Ylang, Cardamon, Sandalwood, Neroli, Jasmine, and Rose Absolute, Polysorbate 20.